Studying the structure of social interactions is fundamental in behavioral ecology as social behavior often influences fitness and thus natural selection. However, social structure is often complex, and determining the most appropriate measures of variation in social behavior among individuals can be difficult. Social network analysis generates numerous, but often correlated, measures of individual connectedness derived from a network of interactions. We used measures of individual connectedness in networks of affiliative and agonistic interactions in yellow-bellied marmots, Marmota flaviventris, to first determine how variance was structured among network measures. Principal component analysis reduced our set of network measures to four “social attributes” (unweighted connectedness, affiliation strength, victimization, and bullying), which revealed differences between patterns of affiliative and agonistic interactions. We then used these extracted social attributes to examine the relationship between an individual’s social attributes and several performance measures: annual reproductive success, parasite infection, and basal stress. 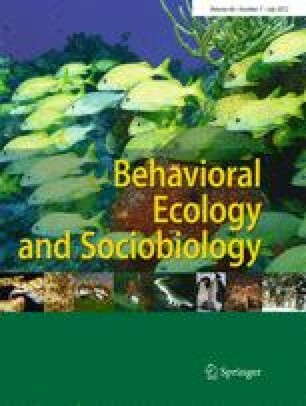 In male marmots, bullying was positively associated with annual reproductive success, while in females, affiliation strength was negatively associated with annual reproductive success. No other social attributes were significantly associated with any performance measures. Our study highlights the utility of considering multiple dimensions when measuring the structure and functional consequences of social behavior. This work was funded by the US Department of Education GAANN Fellowship, National Science Foundation (NSF) GK-12 Fellowship, UCLA Chancellor’s Prize, RMBL Snyder Graduate Research Fellowship, Homes O. Miller Fellowship, and Bartholomew Research Grant (to TWW); the UCLA Academic Senate and Division of Life Sciences, National Geographic Society, and NSF-IDBR-0754247 (to DTB); and NSF-DBI 0242960, 0731346 (to the RMBL). We are also grateful to the many field and lab assistants for data collection; Lucretia E. Olson and Amanda J. Lea for genetic analyses; Rebecca N. Booth and the University of Washington Center for Conservation Biology for radioimmunoassay of hormone extractions; Johannes Foufopolous, Laura Ramos, and Dirk Van Vuren for advice on parasites; the UCLA ATS statistical consultants, especially Xiao Chen and Phil Ender, for help on statistical analysis; and Jennifer E. Smith, Amanda J. Lea, Rick Grannis, Peter Nonacs, Gerald Wilkinson, F. Stephen Dobson, and an anonymous reviewer for constructive feedback on earlier versions of the manuscript. The research was conducted in compliance with US regulations, under research protocol ARC no. 2001-191-01, approved by the University of California at Los Angeles Animal Research Committee on 13 May 2002 and renewed annually. Live animals were trapped under permits issued by the Colorado Division of Wildlife.